Kyoto has always been on my radar, as the city evokes the grandeur of imperial Japan - harking back to the time of the samurais and ninjas and bushido. When I visited in Japan, it was next on my list after metropolitan Tokyo (including Yokohama). I am featuring the city in my In Pictures series for this week. 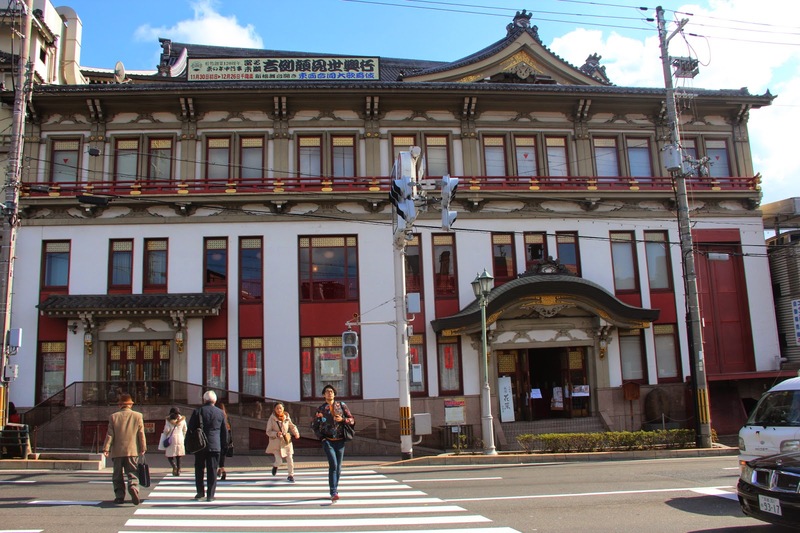 Kyoto was established as the capital of Japan in the 8th century, and it remained so until 1869, when the imperial court transferred to Tokyo during the Meiji Restoration. During World war II the city was mostly spared from attacks by the Allied forces and the nuclear bomb, hence it still contains many of the prewar buildings that made the city a charm to visit. I arrived in Kyoto in the afternoon after a Shinkansen ride from Tokyo. The city's layout is easy enough to understand, as it was constructed in a grid pattern. After alighting at Kyoto Station, I found the bus to take going to where I am staying. Commuting is easy; I purchased a bus pass with unlimited rides, and the buses themselves have English signs for easy navigation. I also have my Google Maps with me, connected via a local SIM that I purchased in Narita. The district where I was going is called Gion, which originally developed to cater the travelers visiting the shrine nearby. 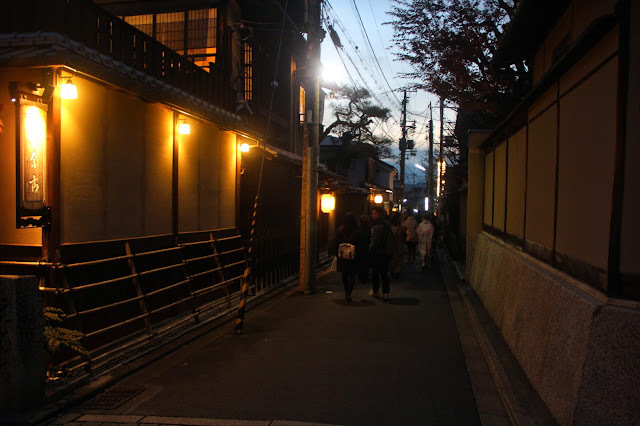 Later on Gion became a geisha district. The low-rise buildings, ochaya (tea houses) and shops built along narrow cobble-stoned streets still abound the area. They look quaint with their minimalist architecture, lighted with the yellowish glow coming from the paper lamps hanging in their ceilings. Also around the Gion area is the Kiyomizu-dera, a Buddhist temple founded in 778 AD. I was able to visit the temple, a UNESCO World Heritage Site, in the evening, right after I checked in. The place I am staying in is a ryokan, a traditional inn that originated in the 17th century. 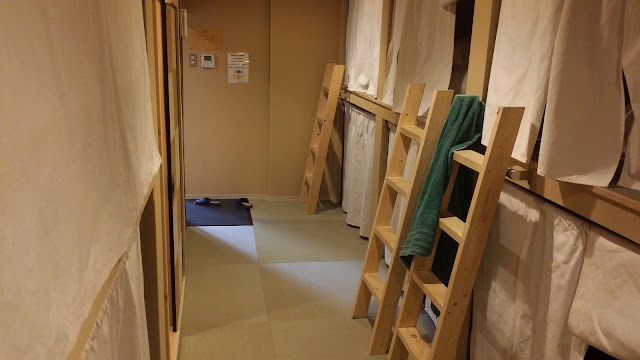 The inn was updated with hostel-like amenities, so it was very comfy, while being traditional and modern at the same time. 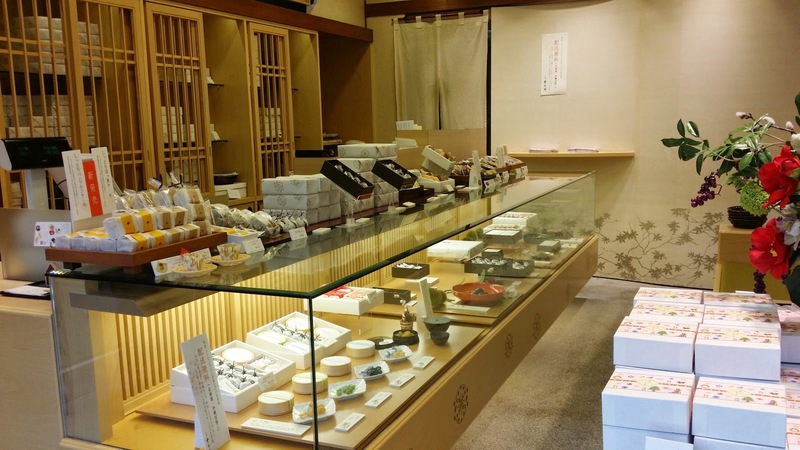 I tried exploring the little shops that dot around Gion. There was one particular shop that I like that sells artisanal sweets and candies. The sweets were intricately decorated and delicately boxed and wrapped in paper, making them great souvenirs. I bought a couple of boxes for home. They tasted great. The shopkeeper was very friendly and attentive too. He served me some tea and some pastry when I entered the store to browse. We don't that kind of service too often anymore. The secret ingredient is lard. I also got to sample the local cuisine. I love Japanese food even before flying here but the trip made me love it more. 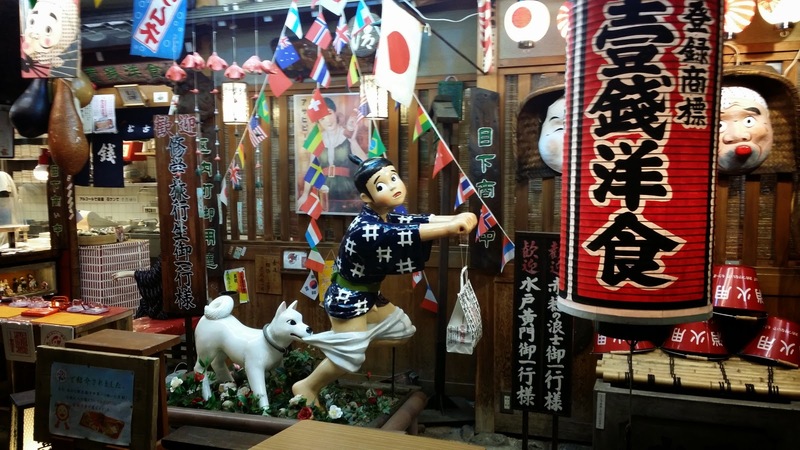 I tried eating as often in small restaurants as much as possible for me to be able to get authentic food. 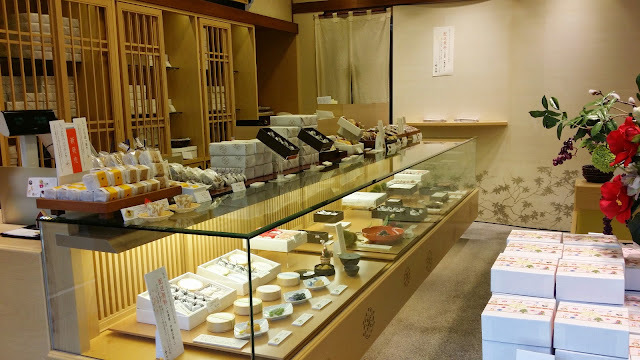 The most memorable one was the shop near Kiyomizu-dera which sells croquettes. 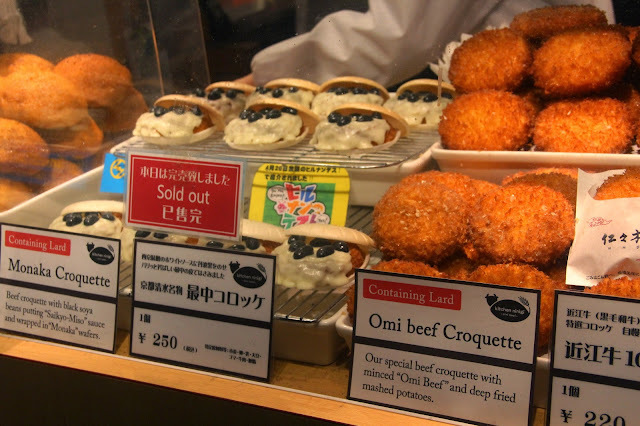 There was a long line going in and when it was my turn, they only have one omi beef croquette left! At least I was able to get one, and it was heavenly. Melts in your mouth heavenly. Then I saw that they use lard. 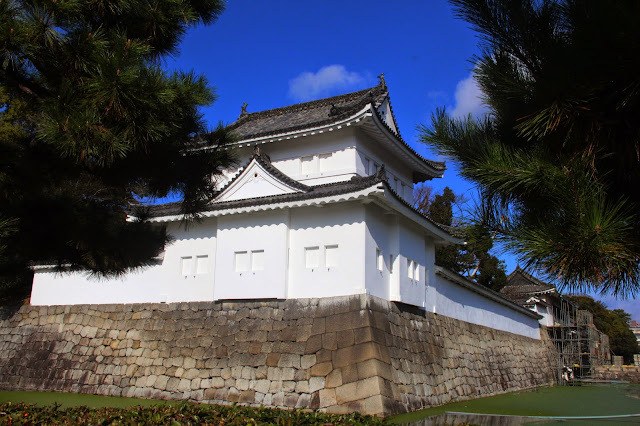 As I mentioned Kyoto was the former capital of Japan, and the city hosts the Imperial Palace too. I wasn't able to get inside because I was 'nt able to secure an appointment, but I was able to see the gates while I was in a bus going to another UNESCO World Heritage site. The World Heritage site I was going to visit was the Nijō Castle, which was built in 1626 to become the residence of the Tokugawa shoguns. As luck would have it, the complex was closed for repairs when I got there, so that was a bummer. I did see parts of the castle though, including the humongous gate, and some of the battlements that form part of the fortifications of the castle. Aside from the battlements and thick walls the complex is also protected by a moat around its perimeter. Even just looking from the outside I feel like I was transported to 16-century Japan, or to the set of the 7 Samurais. 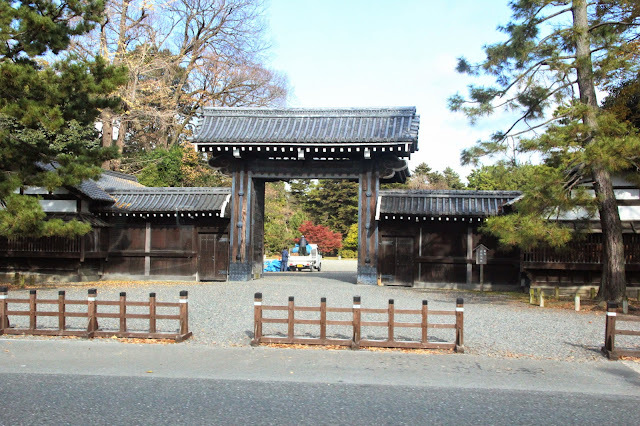 I was also able to visit the Yasaka Shrine, which was near my ryokan. 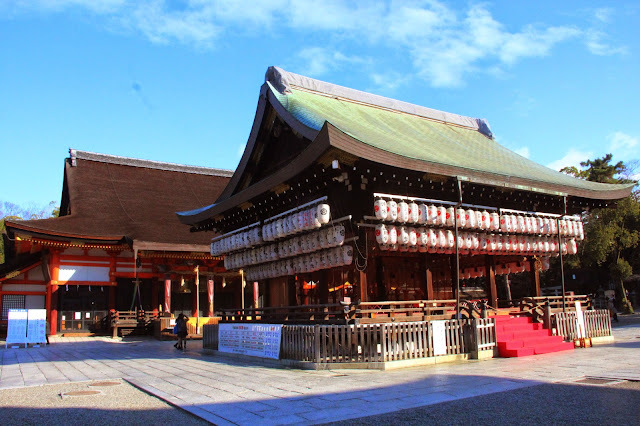 The Shinto shrine was constructed beginning in 656 AD, and is now the venue of the annual Gion Matsuri festival. 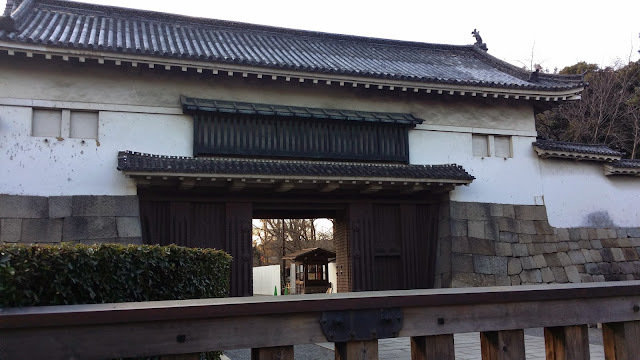 Adjacent to Yasaka is the Maruyama Park, which is also a popular site for viewing the cherry blossoms in spring (it was winter when I was there, so no blossoms). When I was at the Yasaka Shrine I observed a groom and bride in their traditional garb having their photos taken in front of the temple. There were also several visitors praying and offering gifts in the temple. Aside from the temples and shrines I was also able to go around the city on foot and on the bus, and I was able to see the different architectures of the city, from pre-war to modern. 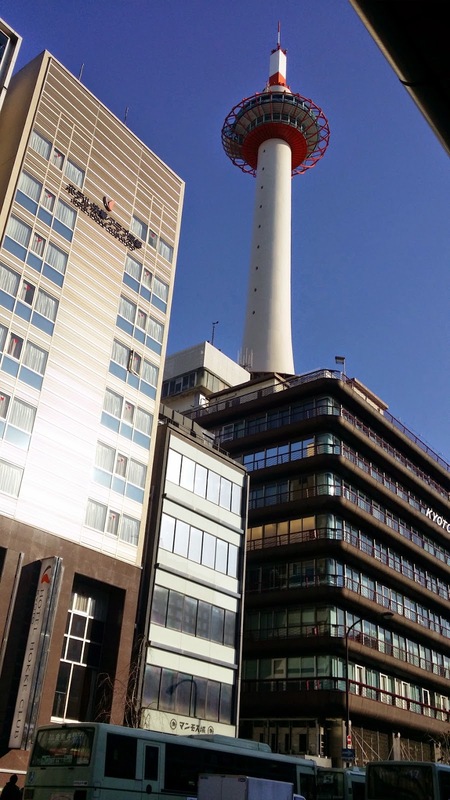 There was also the Kyoto Tower, which is just across the ultra-modern Kyoto Station. I felt that I should have spent more time in Kyoto as there's a ton of things to see, but I have to divide my time there and Osaka, so I can visit the make-believe castle of Hogwarts as well, but I guess it's something to look forward to, to have something more to go back to and explore in the city. The closest airport to Kyoto is Kansai International Airport in Osaka. There are also regular Shinkansen trips between Tokyo and Kyoto (which will go onward to Shin-Osaka).